Most TV shows celebrated the holiday season with warm & fuzzy Christmas specials. But for the cast, crew and creators of ROSEANNE, the year s best celebrations always belonged to Halloween. In these eight classic episodes, the Conners unleash tricks and treats in one of the greatest sitcoms in television history. Featuring all 8 Halloween-themed episodes from Seasons 2-9 in one ghoulishly hilarious DVD collection! Includes the Emmy®-nominated fan favorite episode, Boo from the top-rated 2nd season! Guest stars include Ed McMahon, Sandra Bernhard, Mo Gaffney, Jim J. Bullock, Arianna Huffington, Joanna Lumley, Jennifer Saunders, Marlo Thomas, Estelle Parsons and George Clooney! 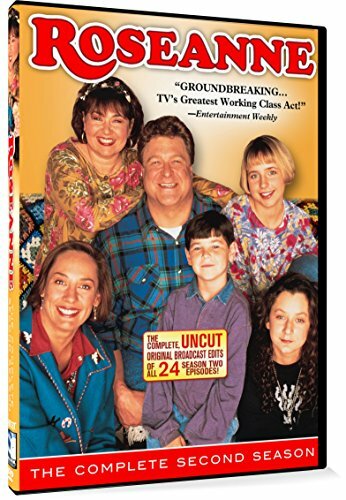 Watch the Conner family as they deal with everyday problems like juggling work and family, and trying to make ends meet. The Conners know how to stick together, and are a real family, with comical antics along with dramatic moments. 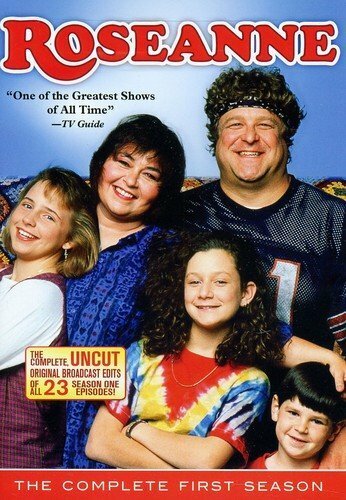 Roseanne and Dan are always there for each other, and their trio of children, as they watched them grow up, fall in love and make good and bad decisions. In Season Two watch the Conners take on the school council, police a coed party, lock-up the liquor cabinet and more. 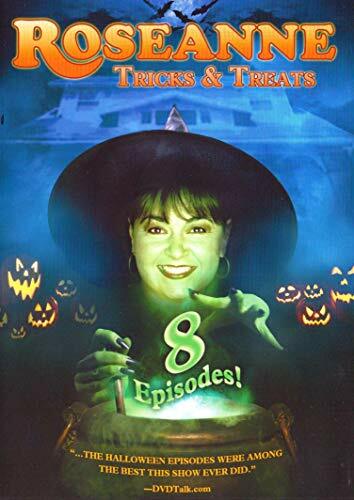 Roseanne - Tricks & Treats DVD Preview - "Tunnel of Terror"
ROSEANNE - TRICKS & TREATS DVD - http://a.co/83mWnb5 All 8 Halloween Themed Episodes In 1 DVD Collection! For the cast, crew and creators of ROSEANNE, the year's best celebrations always belonged to Halloween. In these eight classic episodes, the Conners unleash tricks and treats in one of the greatest sitcoms in television history. 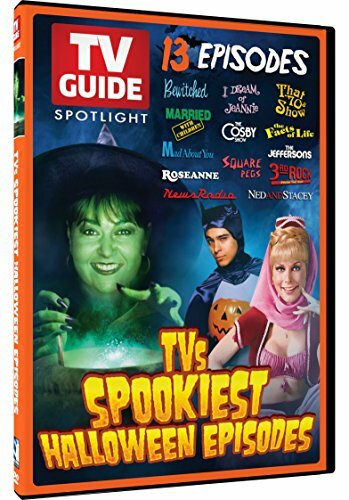 Featuring all 8 Halloween-themed episodes from Seasons 2-9 in one ghoulishly hilarious DVD collection! It's Halloween, and Roseanne is going to a costume party at the Lobo Lounge. When she shows up dressed as a bearded lumberjack, she is totally convincing, and decides to keep up the charade.